Just released our my newest set of training videos covering AutoCAD 2015 and AutoCAD LT 2015. Each video is 10.25 hours long and covers the basics of each program. In this project-based Learning Autodesk AutoCAD 2015 video tutorial series, you'll quickly have relevant skills for real-world applications. Practical working files further enhance the learning process and provide a degree of retention that is unmatched by any other form of Learning Autodesk AutoCAD 2015 tutorial, online or offline... so you'll know the exact steps for your own projects. 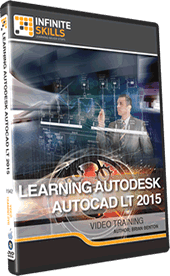 In this project-based Learning Autodesk AutoCAD LT 2015 video tutorial series, you'll quickly have relevant skills for real-world applications. 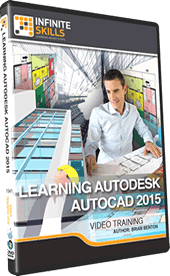 Practical working files further enhance the learning process and provide a degree of retention that is unmatched by any other form of Learning Autodesk AutoCAD LT 2015 tutorial, online or offline... so you'll know the exact steps for your own projects. Each Training video comes with working CAD files. I introduce the user interface to you and show you have to navigate within your drawing files. At the end of most sections is a “Chapter Project” that focuses on the skills you just learned. Several of those projects build on top of the other culminating in a final project where you will create drawings for a small movie house. Check out the individual websites for more information and pricing.